We Pride Ourselves on Quality Customer Service. SOLID FACILITY AND HELPFUL STAFF! GREAT STAFF AND SUPER HELPFUL! 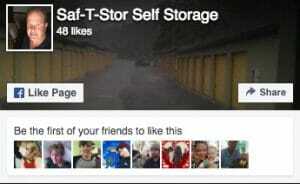 EFFICIENT SERVICE AND CLEAN STORAGE UNIT! For pricing and availability or questions about our self storage services, please send us a message using the form below or call us at 919-872-7076.